Powerful features of Cloud ERP is available at the Cost of Accounting Software. 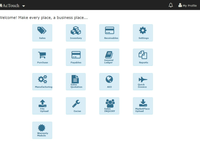 A beautiful SaaS application with ability to CUSTOMISE as per your needs. Business owner with < 35 employees with many operations, NOW can manage their operations with ease, having good Controls & Audits. You save TIME & MONEY. Beautiful User Interface for Invoice, Bills, Taxes, Inventory, with features like post sales Warranty, Generation of Bar codes, SMS interface makes your life easy & improve productivity. Ac touch is a great product for Small and Medium businesses. Pros: Ac touch finds itself in a niche; catering to the ERP needs of small and medium businesses. While many other software claim to service the same segment they fail when it comes to functionality or are priced very high that such businesses cannot afford. Moreover the support is accessible and quick to resolve issues. The UI is simple and new employees have found it easy to use. The modules handle most business scenarios. Cons: The speed of searching needs to improve. The 'alerts' section needs to be improved further. Transfer of data to and from 3rd party software needs more development. Overall: Better information of my Business. I do not have to wait for the accountant's visit for list of Receiveables and Payables. Different employees can handle work related to their Job better. Being on th Cloud helps me be better informed and also provide accurate information to customers and suppliers. Pros: The user interface is extremely intuitive which minimises the training time. Lower training time is a huge plus as the user base grows. The team at AcTouch puts the users first and are always willing to learn from user habits to make the software more user friendly. They don't dictate the business flow, rather they tweak the software to help the business flow further. Cons: The software could probably have certain capabilities to sync data entered when there is some internet connectivity issues. 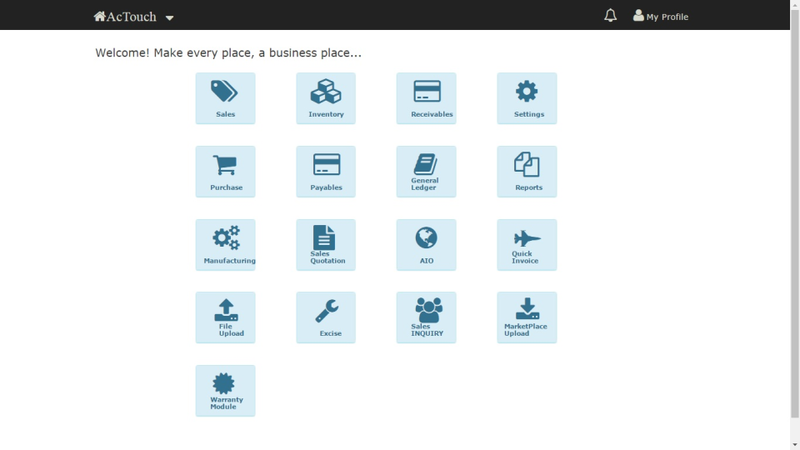 Pros: Its integration, ease of use and functionality which covers all the functions of most manufacturing businesses. You can have it set up and running "before lunch" and use it with the greatest of ease. The application is scalable - so you can start small and grow big, without upgrading. It is SSL enabled which ensures data security. 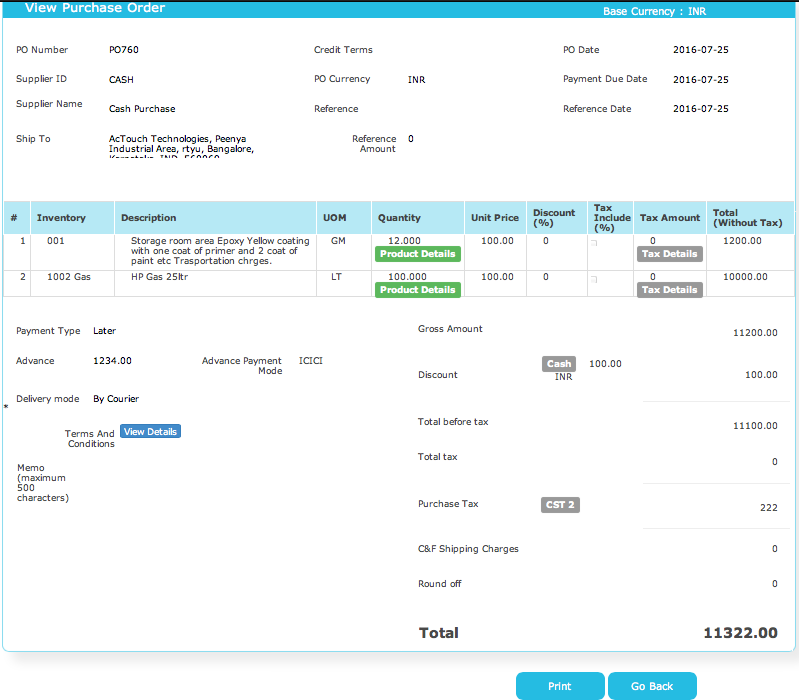 There is an integrated menu for Sales, Purchasing, Payments and Receipts. No flip-flopping. Other modules include Inventory Management and Manufacturing, Warranty Management, Product Barcode Generation, and Quotations. 1. I started my career as a purchasing officer and I was one of the first people to implement an MRP system way back in 1978. I also implemented a number of Class A ERP systems in manufacturing and finance since then. 2. I know and have worked with the Owner and CEO of AcTouch for a number of years and can vouch for his business, design and development knowledge and experience. The product is good and easy to use. The team is vey much supportive. Pros: I started using this application from 2014. It user friendly, easy to navigate across the application. They are enhancing product every regular intervals and added lot more features. Their supporting system is good and accessable. Cons: I have problem with 'time out', they are saying ,for security reason they have this features. If they increase time period for this , that helps my kind users. Overall: Helped me to ease my business. I can keep track of the my quotes and follow ups. Pros: Ease of use, Address the business workflows. 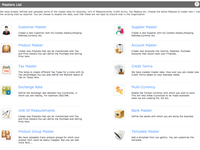 Ability to do multi invoicing and collections. Alert systems are good and helps us to know when to collect customer payments. Cons: As application is growing, many features have been added and its confusing me like SMEs. But the support team is making an efforts address these concerns. Overall: AcTouch is addressing our business needs and helps us to be mobile. Most part of the day, I move around and this tool helps me to run my business from anywhere. It has a strong inventory module thats better than many other software that I have seen. Customer support team is good as they listen to our problems and provide a right solution or workarounds. Recommendations to other buyers: Online payment feature is good for me. Status of the business can be known in tip of finger everyday. Pros: Business will be under control. User friendly. Very easy to learn. Less paper work. Business can be leaded from any place. Cons: Some features like HR solutions, Planning has to be implemented. App speed has be increased while opening some features. Overall: Saves time. reduce the manpower. More accurate. Thanks Sir. We are planning to release HRMS in 5 to 6 months period. Most simple but great accounting tool for business owners to handle their daily accounting tasks. Pros: Very easy to handle without much of accounting knowledge. Covers most of the business tasks. Cons: Can expect improvement in reports. Require direct linkage to websites like GST & E-Airway Bill which will ease other related activities further. Book-keeping and compliance have become so much easier since we started using actouch. Pros: Ease of use. Every new person gets trained in a day's time to use this software. Cloud access. We can access data/generate reports from wherever we are. Cons: Speed: every click takes time to respond, would like it faster. 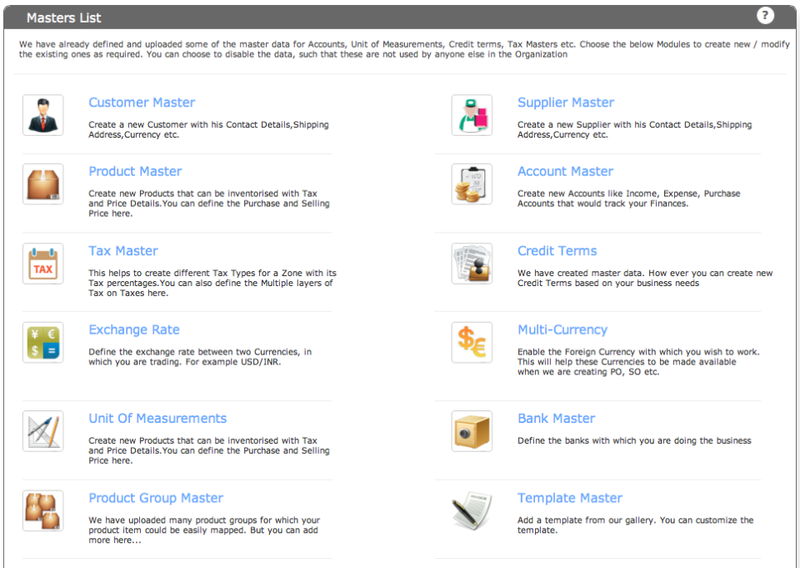 Overall: Automation of sales/purchase finances. Overall: Very initial stages . Cannot quantify but our transition to GST seems smoother viz a viz had we not been using this software. Actouch is best suited for SME accounting requirements. Pros: The team is very responsive to feedbacks and suggestions are incorporated very fast. No dependability on any PC or Device. Thanks and appreciate the same. Pros: Access from any where, through any device be it laptop, system , mobile or tablet. Cons: speed- definitely needs coordinated efforts - both from user as well as developer side configuration management and change - both definitely needs close interactions and response . Pros: AcTouch really is a product that's built using the experiences of manufacturers. It looks like it has been perfected over the years using actual industry feedback. 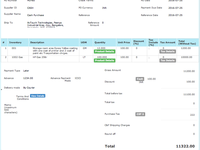 Overall: Overall its a great piece of software, after using 3 different ERP softwares AcTouch is definitely the best one I've used so far thanks to its customer support and the wide variety of features it has. Its cost based focus really makes it stand out. Pros: Very simple to use. No need of any extra training. Easy to navigate. Addresses the real business needs. It suits to my requirements very well. Cons: Aesthetics need to be improved. Reports are good but reports converted to graphical user interface would be great. Overall: It helped to grow my business. I can manage my inventory flawlessly, user management is very advantageous. Purchase, Sales everything is taken care proficiently. Pros: Ease of getting used to the software and supportive backend team. We have received the backend support more often and never denied or delayed when in need. Cons: Lack of planning . Pros: IT IS JUST ABOUT A SLIGHT EASE IN OPERATIONS OF THE SOFTWARE AND NOTHING ELSE IS GOOD ABOUT IT. Cons: THERE ARE ERRORS IN CALCULATIONS OF INVOICE AMOUNT AND THE REPORTS WERE NEVER OBTAINED IN THE REQUIRED FORMAT. Overall: NOT SATASFIED AT ALL.